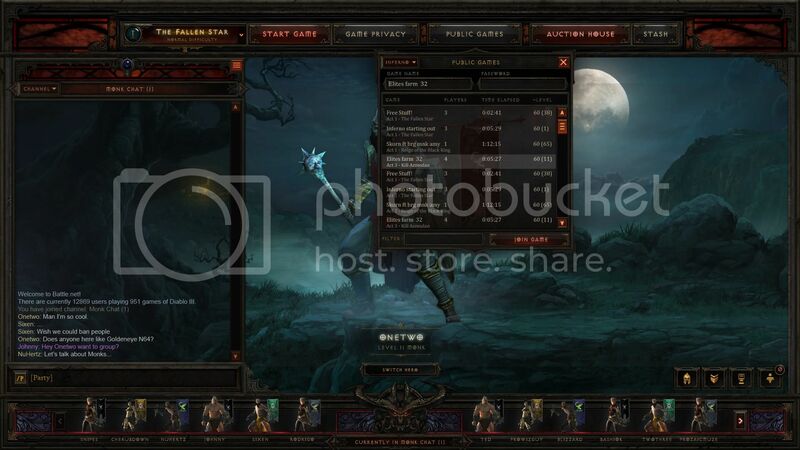 An interesting change has happened in the Taiwanese region of Diablo 3. In order to combat item duping, which has been reported as a major issue in TW, restored items will now be bind on account. This way Blizzard hope to be able to, if not fully stop, at least greatly lower the number of duped items. If successful we might see this change in EU and US as well. Here's a translation of the official message on the Taiwanese forums (or if you speak the language visit this link for the original post). We understand that accounts being stolen is not fun, which is why we provide account restoration. However, we recently found a number of cases of customer service being lied to about theft, in order to get extra items. Accordingly, we have decided to update the account restoration policy in Asia to help players, and at the same time protect the game economy. This change will reaffirm our view that fraud is theft, and take a stance of "zero tolerance". The account restoration service is to help the players deal with account theft, and we hope that no one would need to use this service. Protect your account security from theft; the best approach is to ensure your computer's security, and use the Battle.net account security, such as the Battle.net authenticator. Further protective measures cannot be guaranteed perfect because of human negligence; according to our data, we often see many players' accounts stolen a second time, after the first time they were stolen, since they did not take any action to protect themselves. The game economy is an important part of the quality of the gaming experience, and any attempt to use fraud to obtain additional items may cause harm to the economy and the experience of other players in the game. We hope to give a warning to those of dishonest behavior, and further strengthen the stability of the economy and provide a better gaming experience for all players. In February during the Diablo 3 Beta DFans forum member OneTwoSC created a few screens that grabbed the attention of a big part of the Diablo community. They represented a revised version of the "lobby" for Battle.net 2.0. Back then Blizzard didn't have much to say about it. Recently though the topic was resurrected on the official forums and a blue response marked the topic in the color of noticability! Below you can view the small official reply and also the beautiful designs that OneTwoSC created. You can also view the topic with all proposed screens by clicking on this link. Nice! 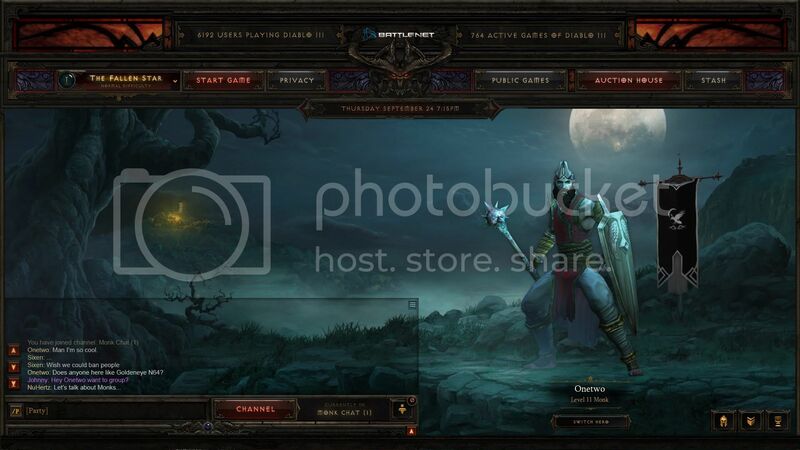 D3 Community Manager! Get working (i.e. sending that feedback to developers)! Could Nephalem Valor Ever Be Removed? Poll: Which Act IV Environment is Your Favorite? The last of the Environment polls is up. So? Which one is your favorite? Your journey through Diablo III will lead you across a variety of environments. From corpse-laden fields, to festering underground passages, to windswept deserts and bustling metropolises, there are multiple different landscapes your hero must brave in order to thwart the advances of the Burning Hells. Each environment has its own charm, and (of course) tells its own story. But what we want to know is, out of all these locations, which one is your favorite? Not taking gameplay into consideration and looking simply at the aethestics, what zone or area do you like the most? And more importantly...why? Since there are so many environments to choose from across the entire game, we're going to break this question down into four polls: one for each Act. This week, we focus on Act IV. Diablofans has some keys to give away for the beta test of Heart of the Swarm! We will be giving away 2 keys every day (Monday - Friday) for the next two weeks. The rules are simple: post a comment relevant to the news in the comment section below. As long as it's on topic, you've entered. Your post needs to be relevant to the news! You may post and reply as much as you like, but it will only count once! A reply to another user (as long as it is on topic with the news) counts. Posting with multiple accounts will get you removed from the giveaway, so don't be naughty! You have until the next news post to reply to this post! Winners will be announced the following day. Yesterday's winners: thumi and Erixxxx. Congratulations! Voted for Vestibule of Light! Actually, it wouldn't matter, I just love the city of angels.